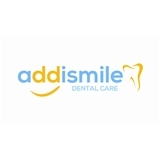 Addismile Dental (Alexandria) - Book Appointment Online! Our goal here at Addismile Dental is to strive and be proficient in rendering optimum oral health care in a pleasant comfortable atmosphere. We offer comprehensive family dental care using the latest technology and dental equipment available in the industry. We will listen to your concerns and work together as a team to provide the best possible treatment plans to achieve your optimal dental health. We invite you to tour our website to learn more about Dr. Hailemariam, our practice, and the services we offer. Feel free to contact us to schedule an appointment or to discuss your dental needs or concerns. We look forward to seeing you in our office soon! Wait time getting to the back wasn't long... Getting to see the actual dentist... Eternity.